It’s warm here in Mystic Moors. So warm in fact, I had to repot the three little aloe vera plants growing in my kitchen. They like the window over the kitchen sink. It receives full sun from 12 noon until 4:pm. They have grown so much since I brought them inside in late September, I had to move them to a larger planter. 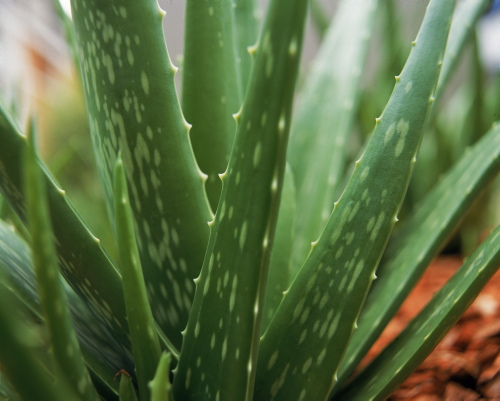 The Aloe Vera has been used for thousands of years to treat a variety of skin conditions. Fresh aloe gel from the aloe leaf is used on minor burns, minor cuts, as well as sunburn. Aloe Vera is a perennial, succulent plant, its leaves hold vast amounts of water. Grown outdoors, the aloe can reach a height of 4 feet, and often blooms. The clear thick gel in the inner part of the leaf is used to treat burns, scrapes and blisters. Aloe can also be grown indoors in a warm, sunny window. Be sure the burn or minor wound is clean before dabbing on the gel. The gel itself will dry quickly and become very stiff, thereby creating a natural band-aid, sealing out dirt and germs. A few years ago, my husband burned the bottoms of his feet. He was helping someone push his car off the road. The road was so hot, it burned my husband’s feet. He came inside the house and showed me. 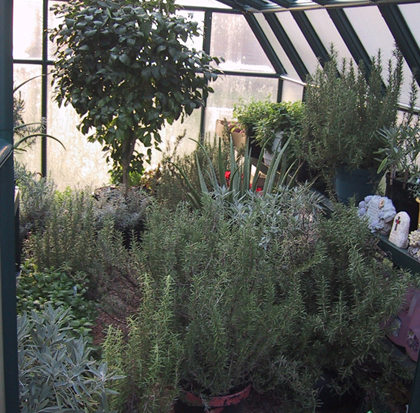 I prepared a tub of cool water and had him soak his feet while I went to the greenhouse and cut several aloe leaf. I dried his feet with soft paper towels, scooped out the aloe gel and gently applied it to the blisters. He put on some white socks and stayed off his feet as much as he could. Before he went to bed that night, I repeated the application. In a few days, all that remained of the blisters were light pink areas that had begun to heal. You can buy aloe plants just about anywhere. I would not be without them.